Health insurance for newborn babies is quite essential these days. It is because you are getting the assurance that the newest member of your family is covered with health care benefits. For caring your little one, your monthly expenses might get increased. So, it’s important that your monthly expenses remain affordable, including the monthly premiums you are paying for the newborn health insurance. Having a baby can make you qualify for the health insurance for the baby. Therefore, as per the rule, it gives you a 30-day period to enroll your baby in the policy and you can even change your base health insurance plan. If you want to enroll your baby in your health plan, call your insurance provider and have his/her birth certificate and Social Security Number ready. If you have a health plan through your job, then you’ll need to notify your HR department about your son’s birth. Inform the administration that you’d add your baby in your health plan. For both the cases, you should ask about policy costs properly. Don’t forget the 30-day period at any cost! Once your baby is registered in your health plan, the health plan will cover all his medical checkups, medicines, and any other medical costs. Remember, individual and employer insurance plans don’t cover the baby immediately after birth. So, to get insured, you may have to wait for paperwork for a while. The newborn baby will have his/her own policy deductible, coinsurance, and out-of-pocket limit listed in the health plan. While having the regular check up, if the baby is healthy, hospital will charge the bill out of your pocket directly. But if the baby is sick and having serious health issues, the hospital will charge the bill plus total health care expenses under your health plan deductible, not from you. Having a baby is a special event. It’ll allow you to compare your existing health plan and adding your baby alongwith into your new health plan. You can talk to your HR department and ask them to migrate you into a better health plan that’ll give you a better employee + family coverage. It’ll help you to enroll for newborn baby health insurance along with your family. This is the option where you can save a good money or opt for more inclusive coverage, or both. How much you can afford as monthly premiums? What doctors and hospitals are essential for you? How much have you estimated as health care expenses? Do you prefer paying copays for visits and prescriptions or having an HSA to pay for the health care expenses? What are the things in your current health plan you don’t like? Once you get the answers, you can start a market research and compare other health plans with your employer plan. You’ll have 30 days from your kids’ birth date to enroll in a new plan. The coverage for this new health plan will be effective from their birthday. CHIP is a low cost health insurance policy for children, which you can apply for at any point of time. In some states, CHIP is available for pregnant woman too . Each state provides CHIP coverage similar to its Medicaid program. Each state has its own criteria for CHIP qualification. You call 1-800-318-2596 (TTY: 1-855-889-4325). You may apply through the Health Insurance Marketplace. You may sign up to https://www.healthcare.gov/create-account and provide your information. They’ll send your details to the state agency and it will contact you to get your registration done. After submitting your Marketplace application, you’ll get to know if you are eligible for an individual insurance plan for your kids. The federals also passed The Affordable Care Act (ACA) on March 23, 2010 for the underinsured or uninsured people and their families. It has 3 primary objectives, which help people get affordable health care. 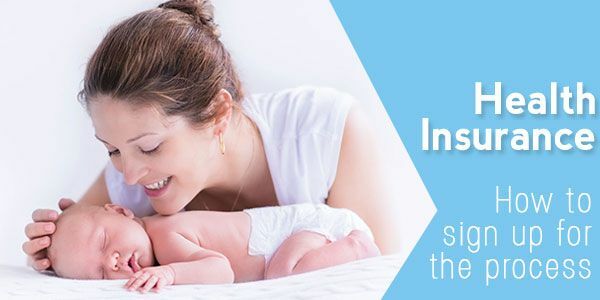 If you have a family health care plan, the mother’s entire pregnancy period (maternity) and health care for newborn baby will be given by the health insurance company. This means the total care under ACA will cover the mother during her pregnancy till after she gives birth to the kid.